Every girl wants to have some fun. Teens dressing up to impress boys. Putting lipstick, trying out new nail polish color or eyeshadow and putting different eye shadow and trying not to have an acne and treat them with differin because it's their nightmare. 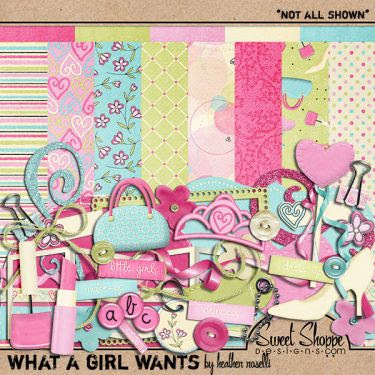 This "What a Girl Wants" Kit by Heather Roselli is perfect for all your girls' dress up pics, teen photos or just about any girly pics that you have.